Andre Fortin will not be vying for the leadership of the Quebec Liberal party. The MNA for Pontiac and former transportation minister confirmed Tuesday that he will not be taking part in the leadership race. The father of two said he struggled with work-life balance while a cabinet minister, and said while he handled that task, being leader of a provincial party would be a much tougher task. Fortin was first elected in April 2014 and is currently critic for Health and Public Safety. He was seen as a natural candidate for the position because he is fairly young, fluently bilingual, and is quite popular within the party. However Fortin said he would feel terrible about not being as present as possible in the lives of his daughters, aged two and six. "I know myself. I would have spent 20 hours a day, seven days a week, with the members of this party trying to rebuild this party, trying to give it a new image, new ideas, new vision, and it just didn't coincide with the type of father I want to be. I don't think it would have been fair to my own daughters," said Fortin. "I had a father who was extremely present and it means a lot to a kid to have that so I wasn't really willing to take that away from my own kids." 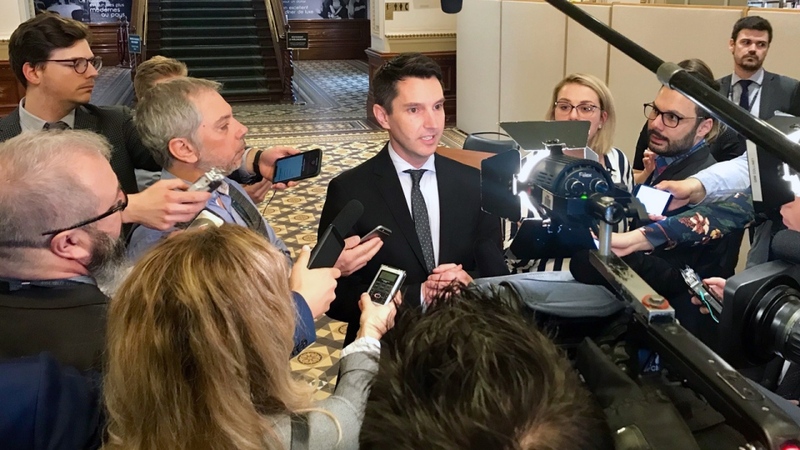 Several other MNAs are thought to be considering a run for leadership of the party following last year's resignation of Philippe Couillard, who stepped down following the October election loss to the CAQ. Those candidates include former vice-premier Dominique Anglade and Marwah Rizqy, who is currently critic for Education. Gaetan Barrette, Pierre Moreau and Sebastien Proulx have all said they are not interested in becoming leader of the Liberal party.